Garden Fence Lizard seen on fence! 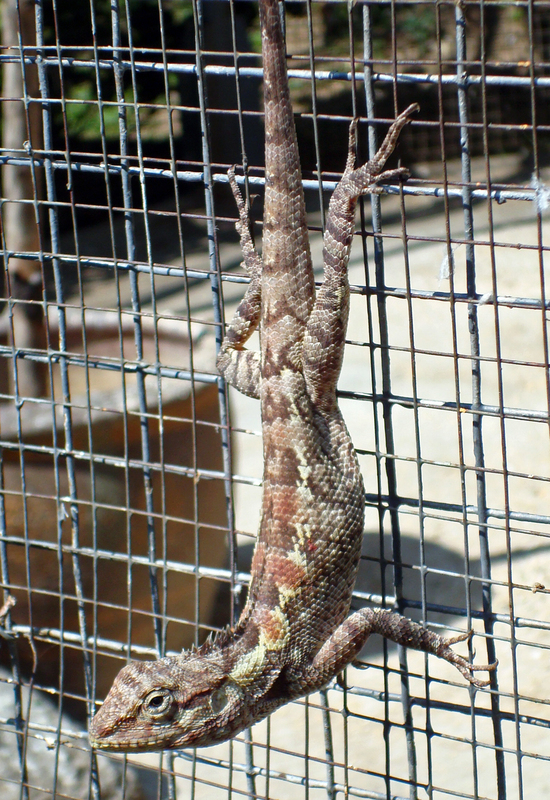 The Garden Fence Lizard (Calotes versicolor), northern Thailand. 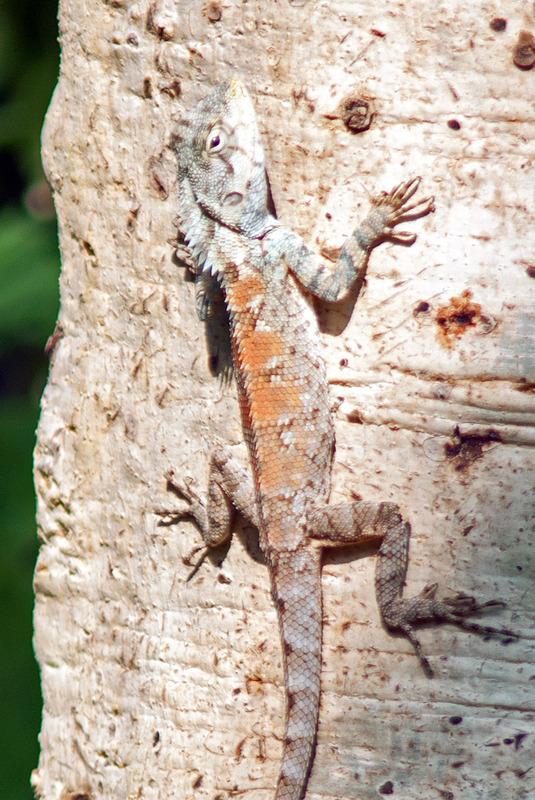 The Changeable lizard (Calotes versicolor) certainly lives up to its name. 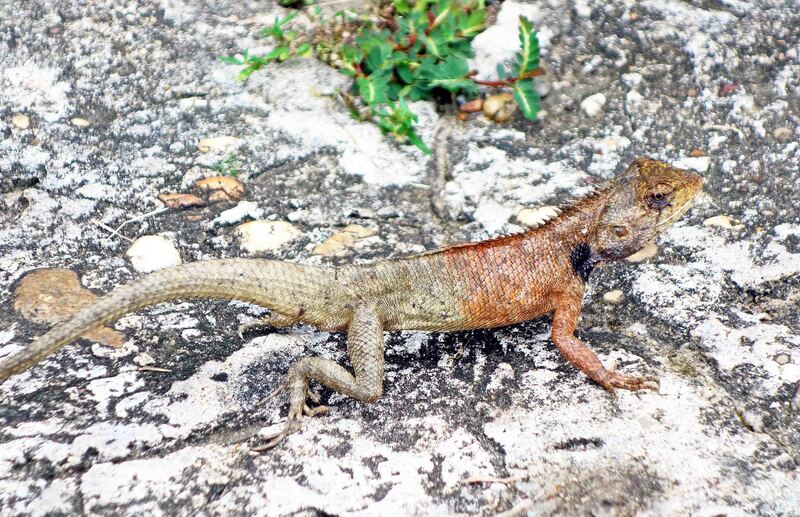 Also called the Oriental Garden Lizard, the Garden Fence Lizard, or the Eastern Garden Lizard, it varies in colour and pattern throughout its vast range (stretching across Asia from Iran to China and down into South East Asia). It has also been introduced into many places, such as Singapore (where it has displaced a native species) and Florida. It is usually brownish in colour, but can also be greyish-olive or yellowish (1). This base colour can however, be changed, to bright red and black, or a mixture of both. This species is identified by certain key characters, such as a short crest above the neck and two small spines above the tympanum (ear drum)(2). During the breeding season, the male’s head and shoulders turn red and a black blotch develops over the throat and cheeks (below). Males also turn red-headed after a successful battle with rivals, a sort of red victory glow I suppose! Females also change during breeding, but less so than the males (see below). 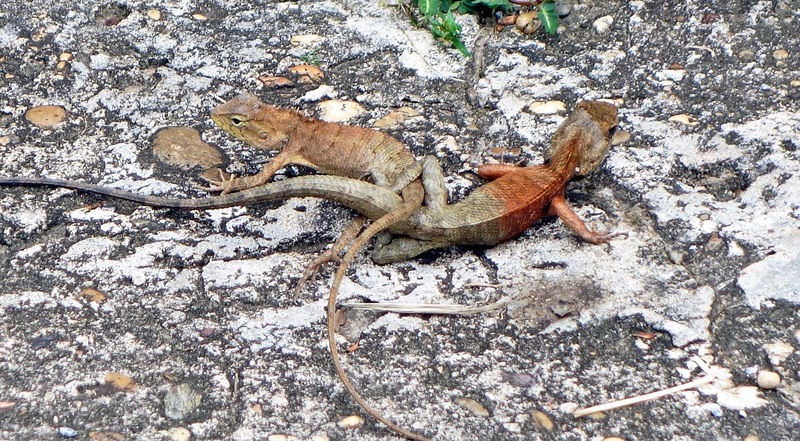 The Changeable lizard appears to be a highly adaptable species. Not only is its native range huge, covering a remarkable variety of habitats and environments, but it also seems to be expanding, becoming an invasive species in some new localities. This species is often seen in parks and gardens, so appears well suited to an urban life. In Thailand, they are called Garden Fence Lizards, so it seems appropriate to end with a picture of one on a garden fence (taken in the city of Chiang Mai). Ray Cannon's nature notes Garden Fence Lizard seen on fence!